Free delivery for all cards available now! 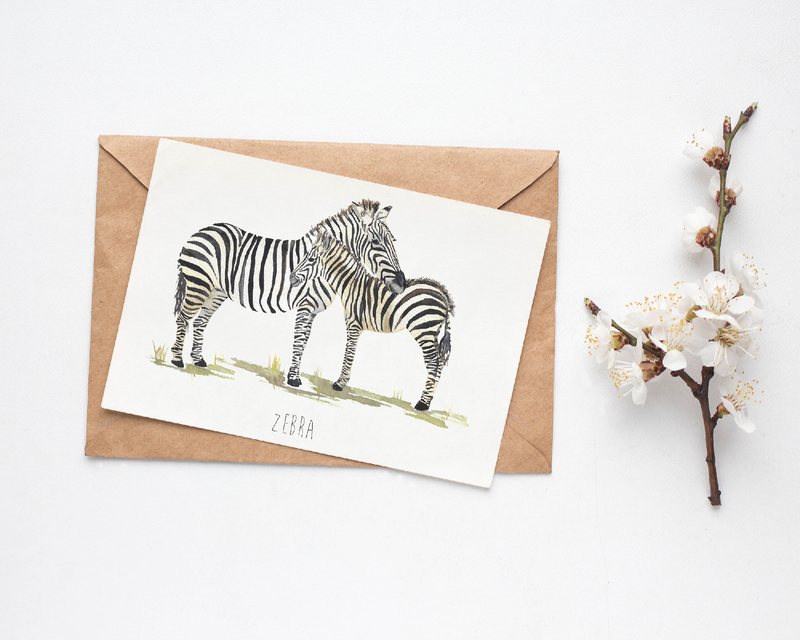 Zebra card created from hand painted watercolour artwork. Cards come with matching envelopes.